Four teams of Cal Poly students took home first-, second- and third-place awards and an honorable mention in this year’s Institute of Packaging Professionals (IoPP) Ameristar Student Packaging Awards Competition. 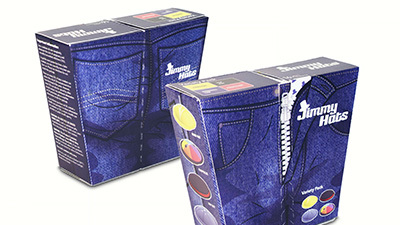 The first-place team created Jimmy Hats, a new approach to traditional condom packaging. Jimmy Hats feature a new design of the condom wrapper itself, and a sleek, branded box that differentiates it from competitors on the store shelf. Another Cal Poly team took second place for The Merry Seedsters. 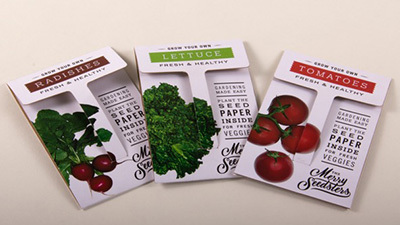 The product featured seeds embedded in compostable paper strips to make planting easier. The design also doubled as garden labels to identify the planted vegetables. 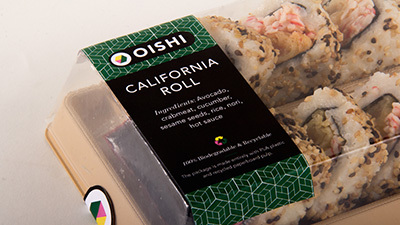 A third Cal Poly team earned third place for its sushi packaging concept, Oishi. Made of low-cost, biodegradable materials such as paper-molded pulp, Oishi is a convenient and sustainable package that protects the sushi roll and doubles as a stackable tray with compartments for sauces and chopsticks. 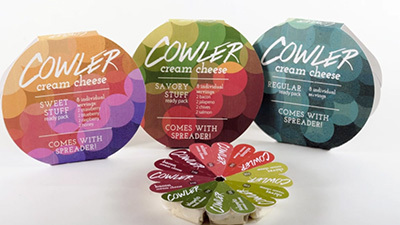 Cal Poly students also received an honorable mention for their product, Cowler, which provides a convenient and easy way to spread cream cheese on the go with single-serving packages of different flavors. The lid of the package doubled as a disposable spreading tool.